I was just 10 yrs. old when my family arrived in Samoa for what was an experience of a lifetime ! My Dad was Dr. L Riley and he has passed away , it was 4 yrs. June 23rd . My Beautiful mother Carol Riley recently passed ( Feb. 9th, 2011 ) ... as I read thru her many letters home to the states to her Mother detailing our experience and the wonderful people we met in Western Samoa ... something drew me to the computer & I wonder if some of you out there remember our family & my Dad ? Ed Slevin was the Director at the time . I am now 52 yrs. 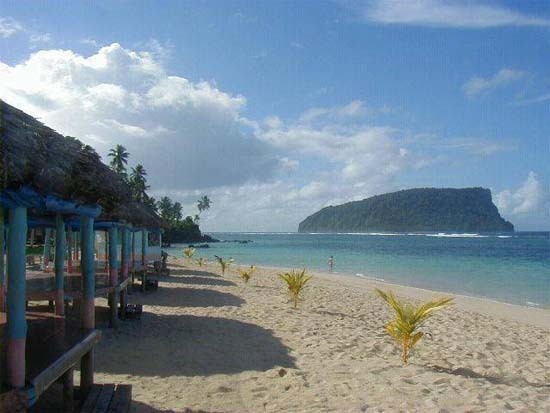 old & was lucky to last yr. revisit Samoa , I want to go back again ... I feel a strong connection to Samoa . I believe I was very fortunate to have had this experience , definitly life changing ! I would love to hear from others that may have known our family or were there the same time frame , why not ... very interesting !